Kon Tum has several vestiges of the French colonial period, as well as several tribal villages directly in the suburbs of the Vietnamese-reconstructed town. Among the town's landmarks, there is a Roman Catholic wooden church on discrete stilts and a large French-built seminary which hosts a small museum on local hill tribes. 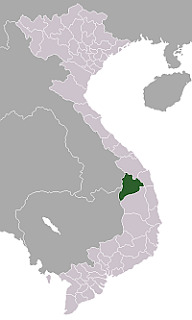 French missionary presence in Kon Tum traces back to 1851.